This is on the face of it one of the more straightforward concepts to understand. It says that although breastfeeding is fundamental to a baby’s well-being, the reason it matters is not just nutrition. For a baby in a nursing relationship, being close to his mother makes all the difference. Breastmilk doesn’t just feel like food; it feels like love. Doing our best as mothers, and working hard on building a strong and lasting breastfeeding relationship, involves devoting intensive time in the early years to getting to know our babies, and working on understanding their needs. Breastfeeding is a great excuse to stay close to your baby: no one can argue that he doesn’t need you. 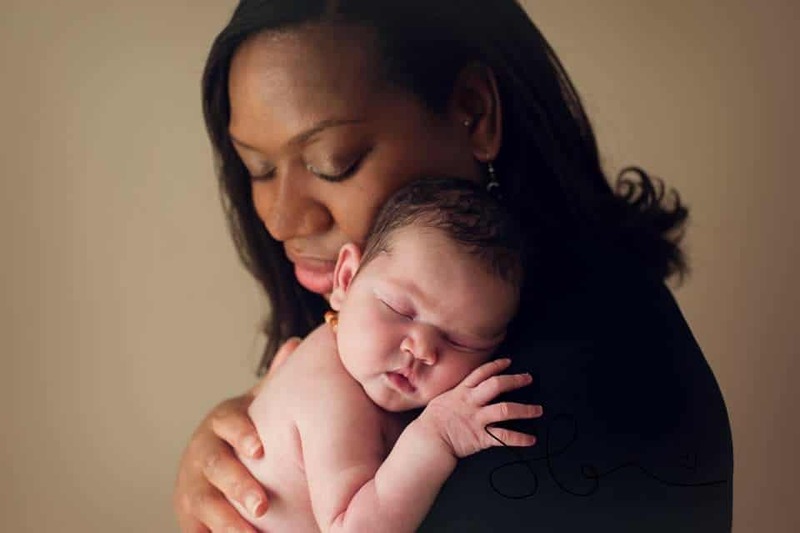 When mothers express an interest in becoming Leaders, they are asked to talk about how they have handled any separation from their babies to give careful attention to their needs. Obviously work plays a part in this: if you’re away from your child for several hours a day from very early, you’ll need to put particular effort into keeping breastfeeding going. Young babies need milk through the day, but they also yearn for connection with their mothers, so restoring and replenishing that connection when you’re reunited becomes so important. What doesn’t this concept mean? None of our LLL philosophy prescribes only one way of parenting. Although many of the principles of Attachment Parenting provide sound science behind a baby’s intense need for his mother and it fits well with LLL values, still our philosophy never states that mothers and their babies must be together at all times, carried in a sling and bed sharing. 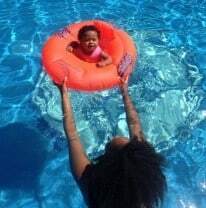 Am I ignoring my baby’s needs by having a job? You are the expert on your own baby and the only one who understands your baby and your whole family’s needs. It can be heart-breaking to leave a small baby regularly, and many mothers find that the looming end of their maternity leave gives them a chance to look with fresh eyes at their work situation. Some find they can negotiate part time hours, or flexible working or working from home; others look at finding childcare close to their workplaces. For yet others, the reality is that full time work is unavoidable, and that means extra effort to be sure that they can be close to their babies all the rest of the time. Some mothers even start cosleeping once they return to work, to gain in night-time closeness what they’re losing by having to be away in the day (and to cater for the “reverse cycling” that many babies start – feeding a lot in the night to make up for being apart from their mothers in the day). Aren’t all LLL Leaders rich stay-at-home mothers? Absolutely not! LLLGB Leaders come from all walks of life, and we’ve all had to work out the balance for our own families. 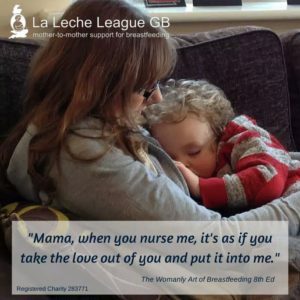 Some of us work outside the home and have since our children were small, although we have all continued to breastfeed them until at least a year old; some are at home full time, and some of us fit in bits of work around our mothering, or run our own businesses. If you’re wondering whether LLL Leadership could be for you, then please don’t feel you’re automatically excluded by having a job – talk to your local Leader who will happily share our prerequisites for Leadership with you. Alternatively, contact lad@laleche.org.uk, to see whether LLL philosophy is a good fit for you and whether you’ve got a space in your life for Leadership. chapter 14 of The Womanly Art of Breastfeeding, “When you can’t be with your baby” LLLI. London: Pinter & Martin, 2010. You might also be lucky enough to find Hirkani’s Daughters: women who scale modern mountains to combine breastfeeding and working in your local group’s library – another great reason to go to meetings! This article was originally published in Breastfeeding Matters, issue 210, Nov/ Dec 2015.